This is Twelve Mile Beach. It is the campsite we stayed at when we first arrived in Hopetoun. Like many places in Western Australia there are no free campsites within a certain distance of the town. Twelve Mile is far enough out of town that you can stay there for free. I had to wait a couple of weeks to get a shot of a full moon to composite in. As it is a local shot I may get it framed for The Deck Gallery but I do not know how well photoshop trickery sells in print. What do you think? It’s a nice composition but I suspect it would be more useful in advertising copy? My favourite shot of the moon still remains Wikipedia’s Lunar libration timelapse though. That is good. I would like to get a job in Photoshop Advertising. I like the timelapse. It gives you an idea of how the moon rolls. Personally I am not a fan of obviously faked photos – leave it to other artists to make those sort of images. But then I am just an old fogey so I have no idea how well it would sell! I like the challenge of faked photos which still look real. It takes skill to match tones so the lighting looks right. I think the advertising industry employs the most skilled Photoshoppers. It is obvious that it is not real but that is not the point , it is creative. Salvador Dali’s stuff cannot be said to be realistic but they are gripping. This one reminds me of one of the few Disk World books I read where a Universe is created in a glass sphere…. The digital artists I admire are the ones which can make impossible images look photorealistic. It is all about lighting. 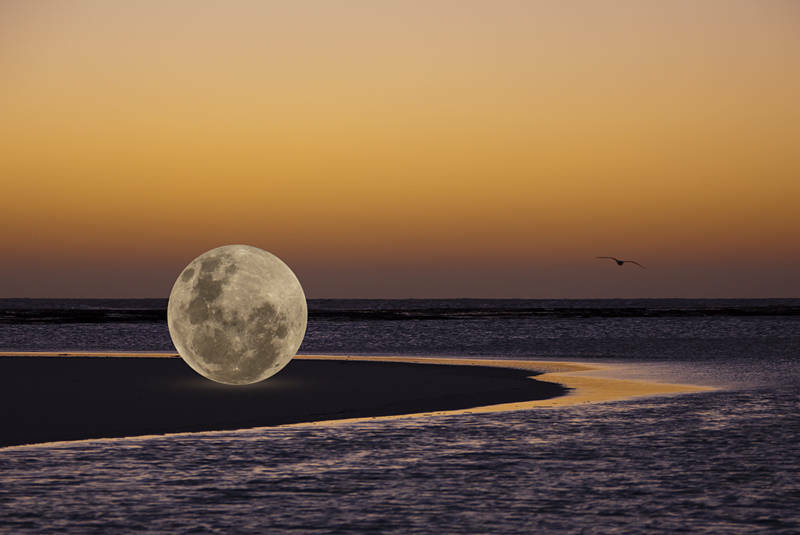 What would you expect the moon look like if it was the size of a beach ball and sitting on a beach? For example if you simply move the moon into the sky without changing the tone or colour it looks more fake, more cut out. This is because lighting does not match. 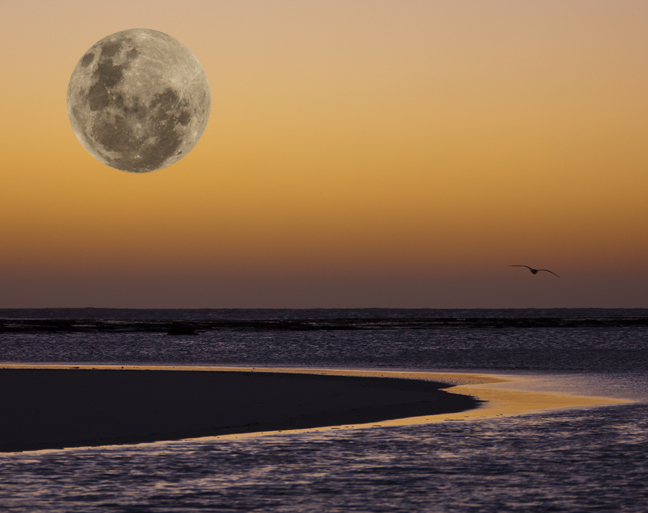 If you look at the moon when there is still light in the sky it looks almost transparent. So by moving the moon the image is more realistic but less photorealistic. You have absolutely beautiful picture !! Hi Benz, is this really you? - great photos by the way. I am out with Mark Crellin and BJ from Hall and we wondered how some old Uni friends never doing . Long time ? Hey Asha, Yes it’s me. How are you doing these days?